The European Food Banks Federation (FEBA) is a thriving network of food banks fighting hunger and food waste throughout Europe. 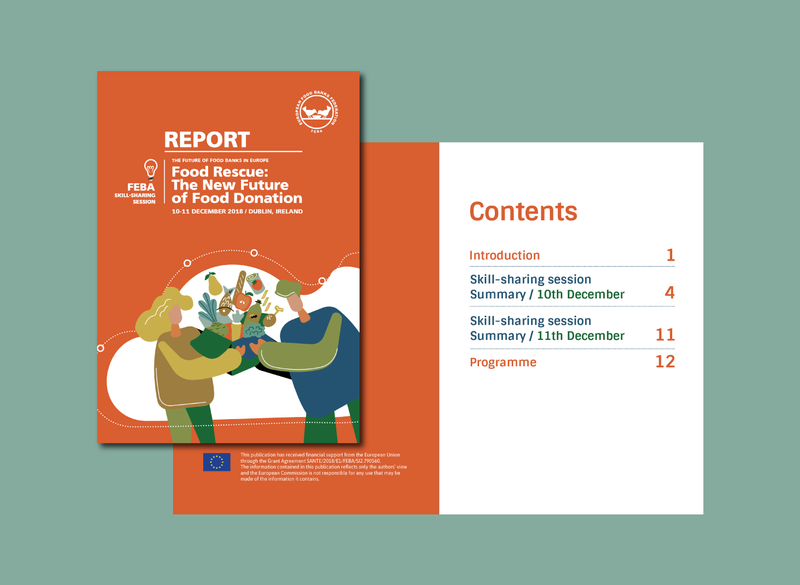 As part of the project “The Future of Food Banks in Europe. Preparing the ‘20s”, FEBA is organising a few skill-sharing sessions, across Europe, for their members. 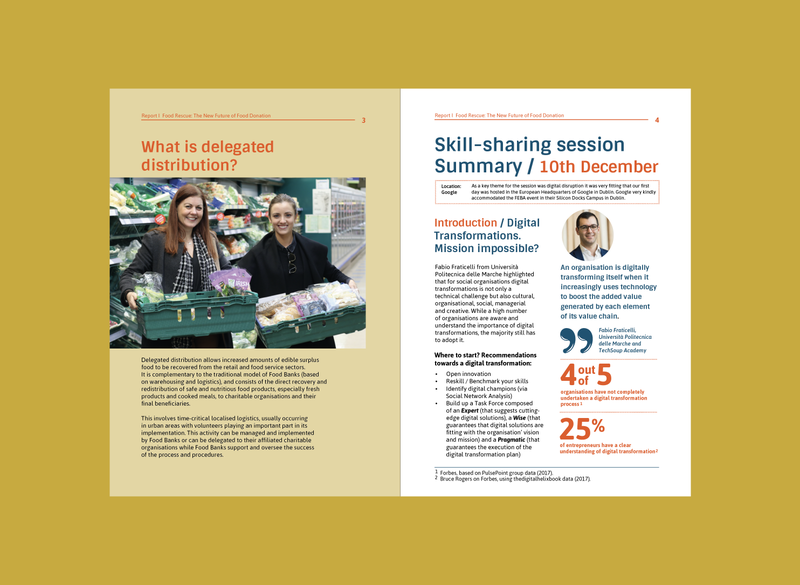 The first session was on the Food Banks’ system of ‘delegated distribution’. Together with FEBA, we developed a campaign to inform the participants about the event and follow up. The main points and conclusions reached during the event were summarised in a Report. Using a professional & customised design, we helped FEBA to convert this complex topic into simple messages.